night sticks, and fire hoses. 1963. Birmingham terrified this child viewer. on leashes held by corporate security. the people with treaty rights. nor sacred waters, nor wind prayers. never to be bitten again. Poet’s Notes: I'd be there if I were younger. 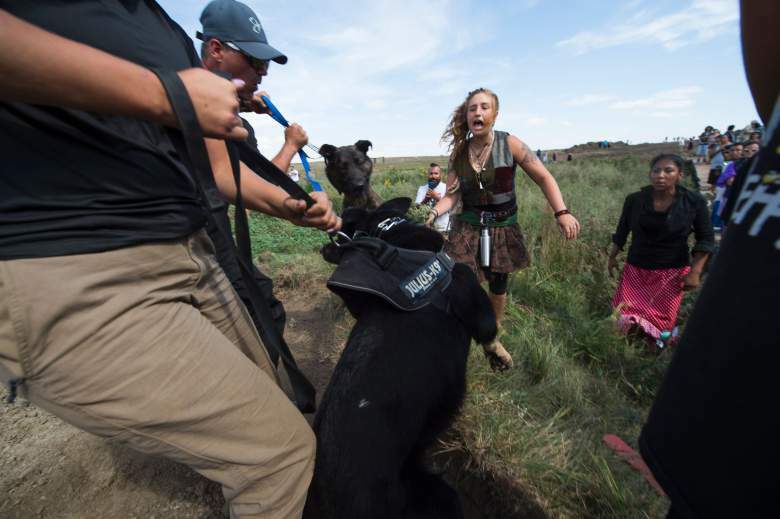 The images of the dogs snarling on the handlers’ leashes still scare me. I feel for the brave people who come in peace to protect their ancestral lands against the corporate behemoth of oil. Not only the wind brings tears to my eyes.